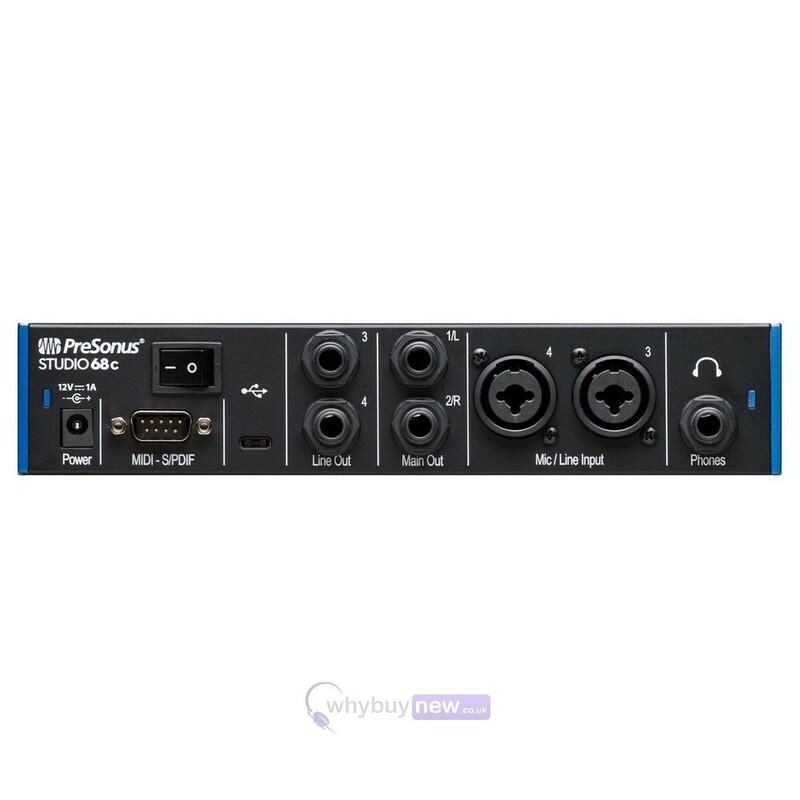 The PreSonus Studio 68C audio interface; an all-in-one recording solution for professional DJs and producers. This sturdy little machine comes equipped with 2 combo mic/instrument/line inputs and 2 mic/line inputs for full connectivity to vocal and instrument recording, plus the MIDI interface enables you to link up MIDI keyboard and production controllers giving you mastery over digital music making as well. PreSonus' music production software Studio One Artist completes the Studio 68C's all-round capabilities and is a great piece of kit in its own right, but for those who want to keep using software that they're already familiar with the Studio 68C is also fully compatible with other programmes making it a hugely versatile piece of hardware and a great investment for any industry professional. 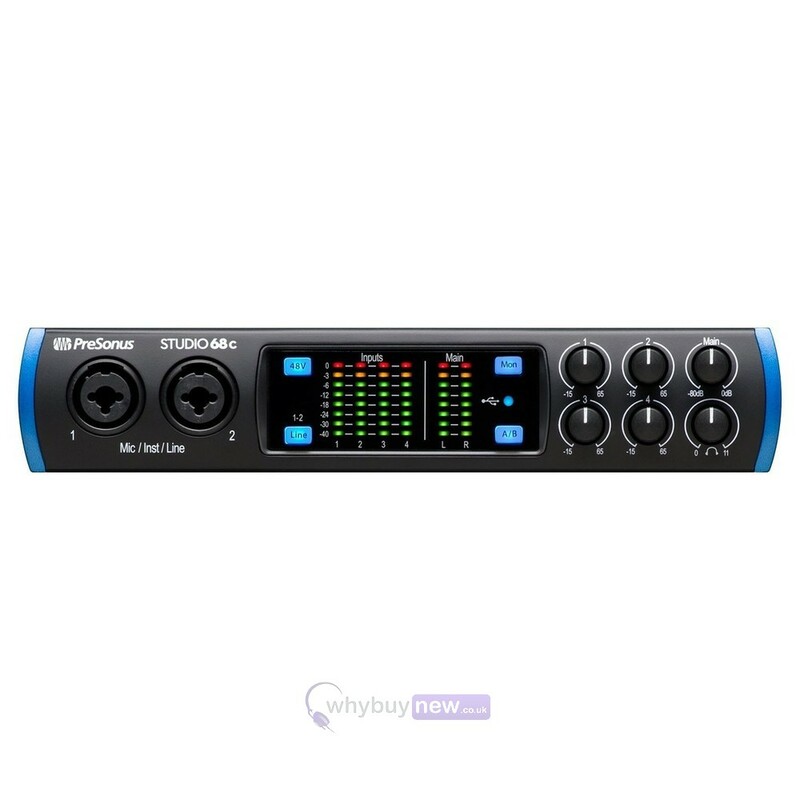 An excellent choice for small bands, producers, and small and mid-sized studios, the Studio 68c 6-in, 6-out, USB-C audio interface records at up to 192 kHz. 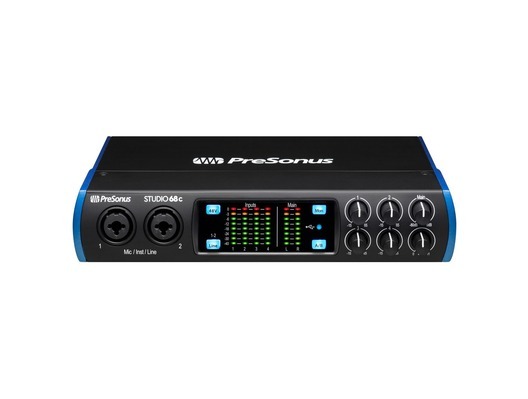 You get two mic/line/instrument and two mic/line inputs, all with PreSonus XMAX mic preamps, plus DC-coupled line outputs and MIDI I/O. 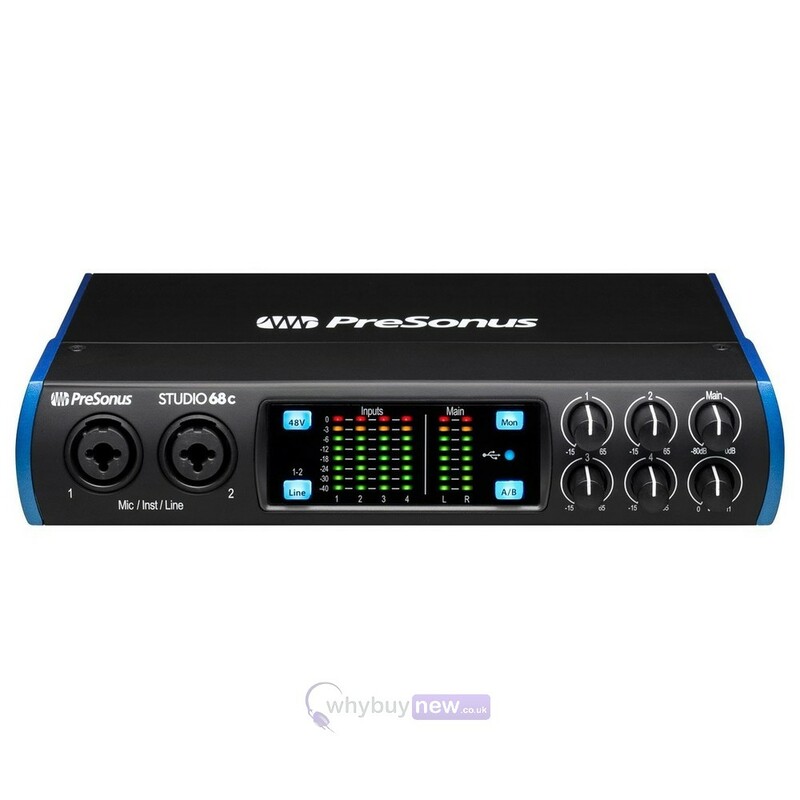 A complete, all-in-one recording studio, the Studio 68c comes with PreSonus' award-winning Studio One Artist music production software for macOS and Windows and is backward compatible with USB 2.0 and 3.0 connections. 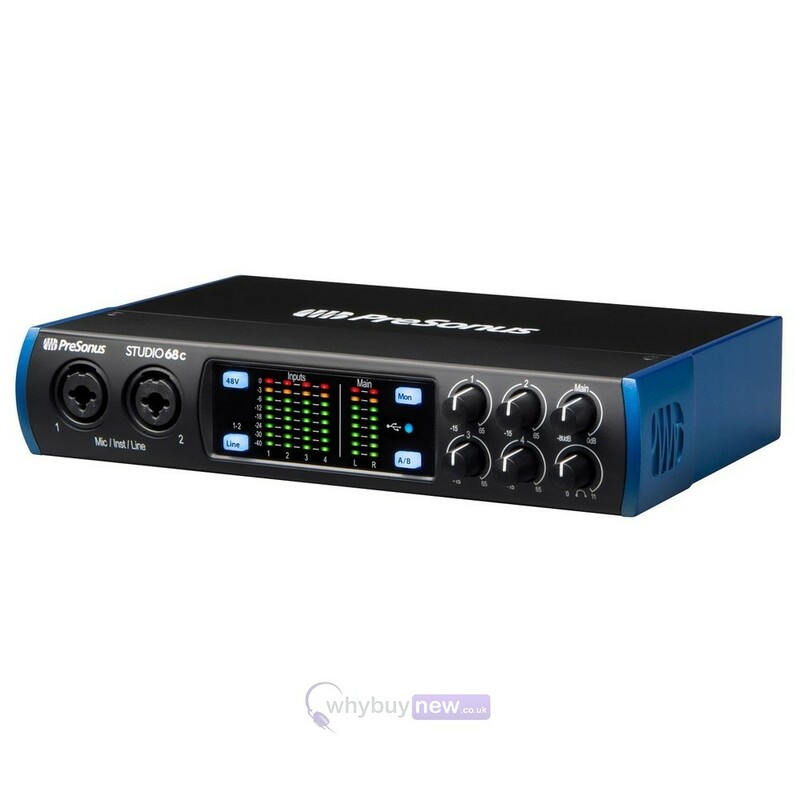 The 6-in, 6-out Studio 68c audio interface features USB-C computer connectivity and includes 2 combo mic/instrument/line inputs and 2 combo mic/line inputs with +48V phantom power for condenser mics, plus S/PDIF digital I/O. All four 1/4-inch TRS, line-level outputs are DC coupled, enabling them to send control voltages. A Cue Mix A/B function lets you toggle between two mixes while monitoring through headphonesperfect for DJs and to listen in on a performer's monitor mix. The Studio 68c's built-in MIDI interface enables connection to a keyboard, sound module, or control surface. The Studio 68c operates at up to 192 kHz for ultra-high-definition recording and mixing. High-quality converters on every input and output and PreSonus' professional-grade XMAX mic preamps deliver incredibly high headroom, deep lows, smooth highs, and a rich overall sound. Whether you need a high-quality audio interface for DJing, are a veteran producer, or both, the Studio 68c will give you the ultra-high-def sound and versatile connectivity you need to make state-of-the-art recordings and perform them live. 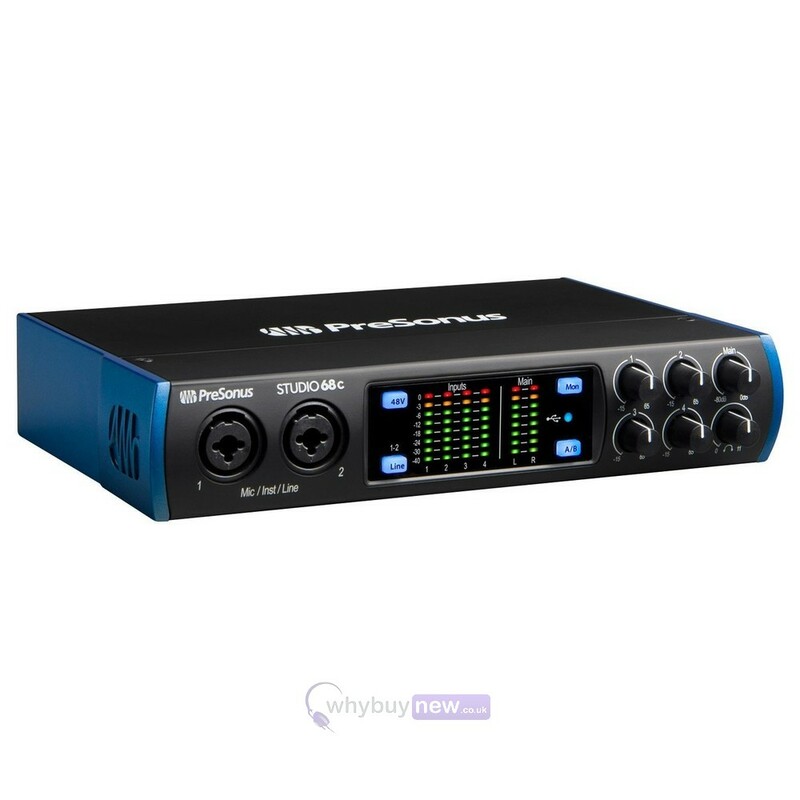 While it's a perfect companion for any recording software, the Studio 68c and included Studio One Artist provide you with a complete, affordable, mobile recording studio.